Here at Slades, we're lucky enough to see some truly impressive fine cars, classic convertibles and supercars pass through our showroom every year. With so many cars to choose from, starting at under £10,000, it can sometimes be hard to give each car the attention it deserves. 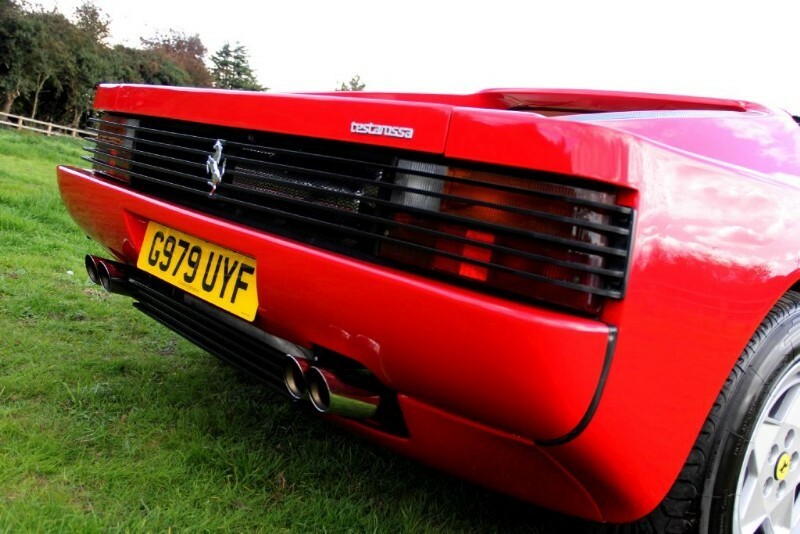 This month, we're shining a light on the stunning Ferrari Testarossa. The popular 12-cylinder sports car was produced by Ferrari between 1984 and 1991, with the two-door coupé making its debut at the 1984 Paris Auto Show. Its name literally means "red head", and refers to the cam covers adorning the engines which were painted red. The Pininfarina design team created the Testarossa to replace the Berlinetta Boxer, making it longer and wider to give more storage space, and focusing firmly on aerodynamics. It's a car that's easily recognised by its huge side intakes which give it its signature look: they're not just there for style, though, but to take in air to cool the radiators, which then leaves the car via ventilation holes that take away the need for a rear spoiler. Here at Slades, we have two Ferrari Testarossas in our showroom. The first is a Testarossa Coupe Monospechio LHD, priced at £128,950, which dates back to 1984 - the first year in which the Testarossa was produced. It's a true collector's car finished in Bianco with Crema hide and carpets, and one that was fully restored and documented in the UK. Come and visit us, and you'll also see the Testarossa Coupe RHD, finished in the classic Rosso Corsa with contrasting Crema hide and Bordeaux carpets, and priced at £159,950. This 1990 model has had just 4 owners with the current owner having undertaken an extensive repaint and interior refurb, and it's in fantastic condition. Head to Slades to see these Testarossas and plenty more - we promise you won't be disappointed!